Interview: The Charleston, Ill., native says it was the playwright’s poetic language and the character’s mixed motives that drew him to the part at Steppenwolf. The play runs through June 10. 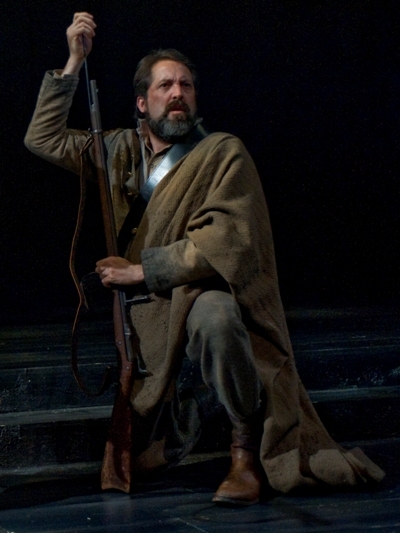 He’s just making it up as he goes along, the Confederate turncoat portrayed by Ian Barford in Steppenwolf Theatre’s current production of “The March.” That’s what Barford likes about his opportunistic character called Arley. 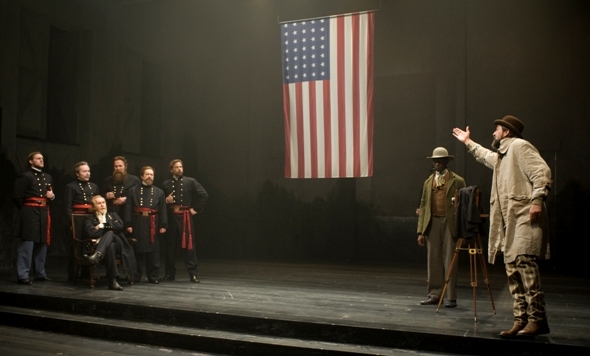 And in a sense, the actor says, he’s doing much the same thing on stage from night to the next, trying to track the pitch and roll of a soldier who’s trying to find his own meaning. 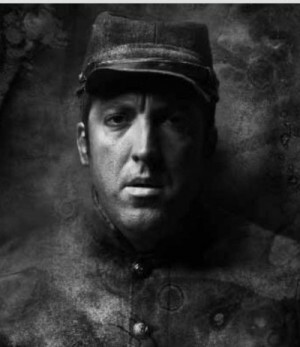 In E.L. Doctorow’s novel “The March,” adapted for the Steppenwolf stage and directed by Frank Galati, Arley is a raggedy Confederate soldier imprisoned and sentenced to death for falling asleep on guard duty. One of the most fascinating wrinkles in Arley’s psychology and outlook, says Barford, is his relationship to God. Arley is not just morally adaptable, says Barford. He’s a web of contradictions with a keen sense of self that eventually turns into a consciousness of his destiny. “He has a facility for language,” the actor says. “Wonderful bursts of poetry come out of him. 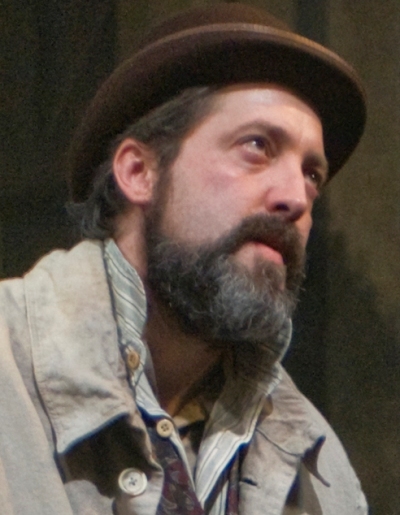 He’s also like Hector, in ‘The Iliad.’ Hector realizes he’s going to die and wants to leave with one heroic act. It’s the idea of a good death. Arley comes to that point. He’s living through this horrific war, and it’s a really profound shift that happens to him. “I’m reading a book about the Booths — Edwin and John Wilke – called ‘My Thoughts Be Bloody’ by Nora Titone. The Booths’ father was a famous actor, widely considered the greatest actor of his day the 1830s and 40s. John Wilkes Booth, perhaps the least talented, had the idea of writing himself into the history books and that thought became an obsession. “Similarly, Arley begins to believe the most meaningful thing he can do is try to avenge what has come down on his people at the hands of the Union. We in the North sometimes forget there were a lot of people in the South who were not necessarily slave owners or who even believed in the cause, but still experienced a tremendous amount of devastation. Sherman’s (scorched-earth) tactics are still debated to this day. It’s important to understand that aspect of Arley, as a man of the South and in that sense a loyal Confederate. What Arley shows with consistency is the wiliness and genius of a man whose wits are his only hope for survival. It wasn’t strictly the intriguing character of Doctorow’s waffling Confederate that captured Barford’s interest, the actor says. “The immediate connection for me was the rhythm of the language. Doctorow is extremely successful in creating individual voices. His characters think and express themselves differently. Arley has this wonderful range of verbal facility. I think he’s quite a reader even though he has very little formal education. Frank has really emphasized this story as a work of literature, and he has been dedicated to letting Doctorow’s language do its work.